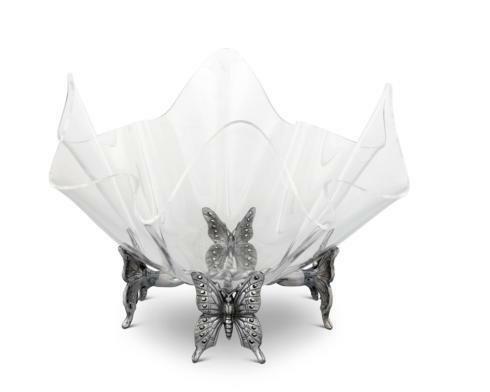 Beautify your serve ware with the 14 inch Butterfly Stand Acrylic Bowl from Arthur Court. Detailed butterflies create supportive legs for the wavy bowl, a perfect display bowl for fresh fruit or breads. Realistic detail gives life to the handmade, aluminum base. Diameter: 14.0" / H: 12.5"